UPDATED July 3, 2013: Galloway Police provided GallowayTwpNews.com with the streets in which burglaries are occurring. All Residents affected were in the area of Federal Court Club 3 Development, Sussex Place, Fairway Lane located in Marriott Vacation Club and East Village Drive located off of Route 9. 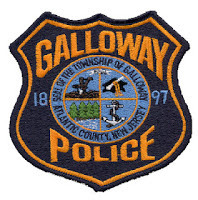 Galloway Township Police has responded to numerous motor vehicle burglaries between June 24, 2013 and July 1, 2013. The Police Department has issued the following Press Release requesting the Public's assistance. "We are asking for the media’s assistance with getting this information out because all of the vehicles were accessed via a ‘lock-tool.’"
"All of the vehicles that were entered were locked by the owner and secured to the best of their ability. The unknown suspect(s) utilized either a manufacturer’s key or a ‘lock tool’ to enter all vehicles and remove various items to include GPS’, sunglasses, IPODS and cellular phones. Residents should be advised not to leave any items of value inside your vehicle when they are unattended. None of the vehicles were damaged as a result of the burglaries however a large amount of valuables have been reported stolen." Anyone with additional information or possible suspect information is asked to contact the Galloway Township Police Department @ (609) 652-3705 or Atlantic County Crime Stoppers @ (609) 652-1234.